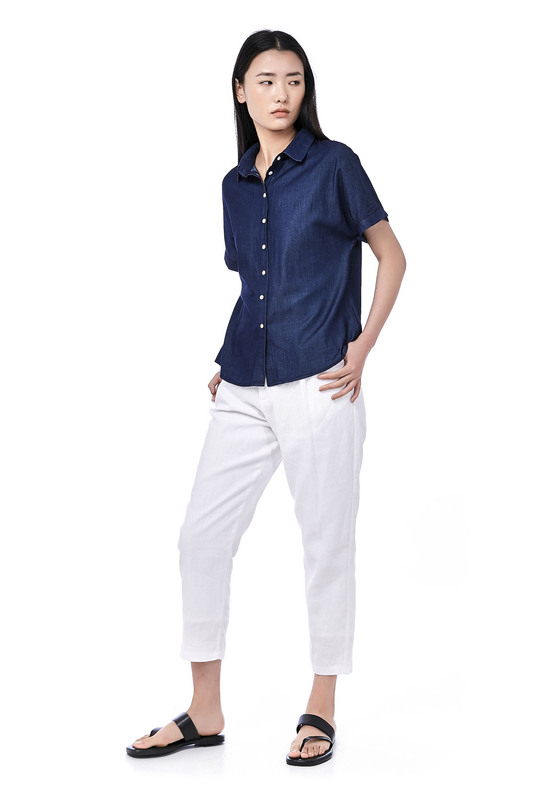 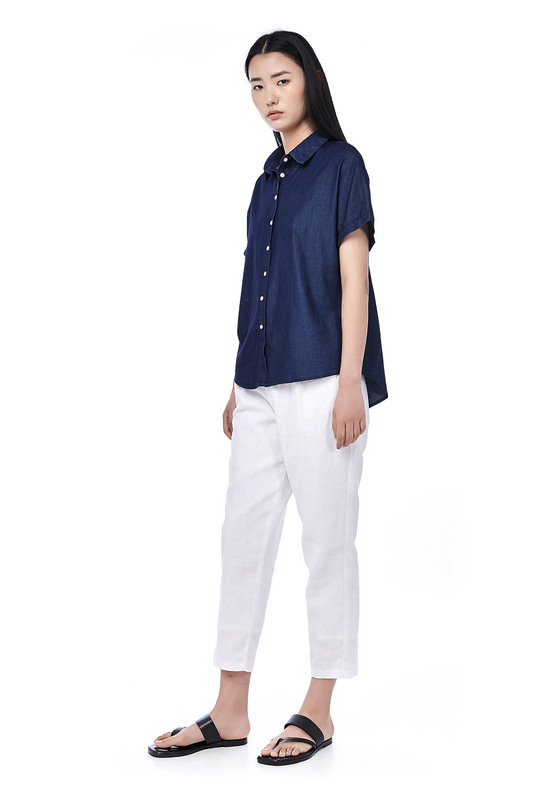 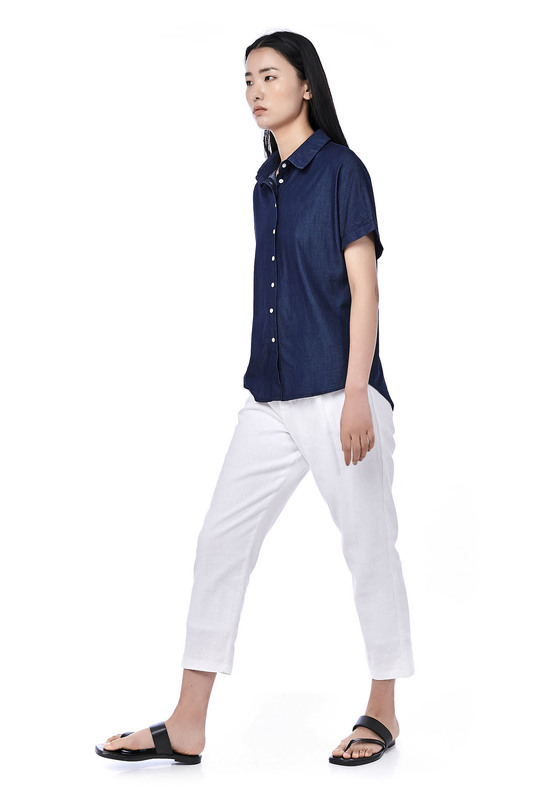 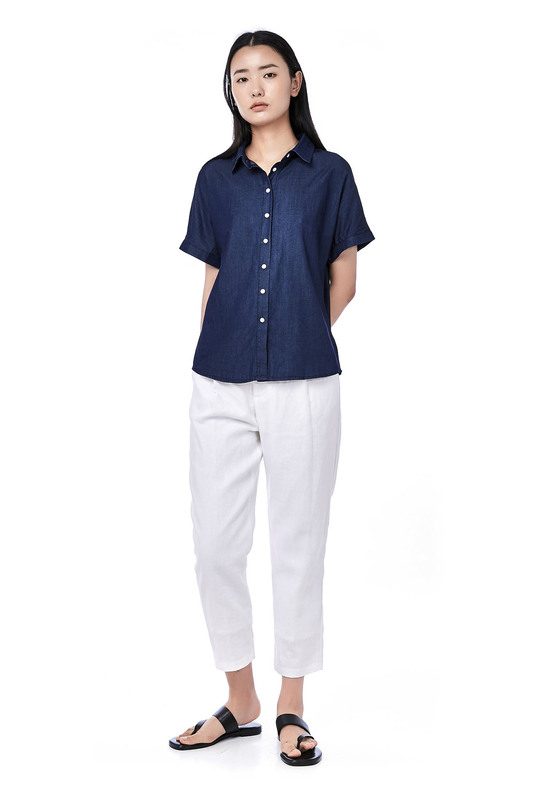 This short-sleeved shirt is made from cotton polyester. 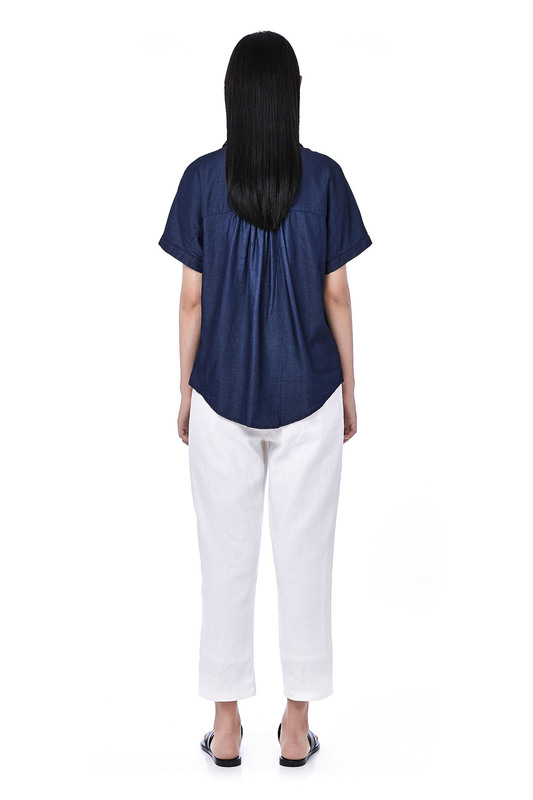 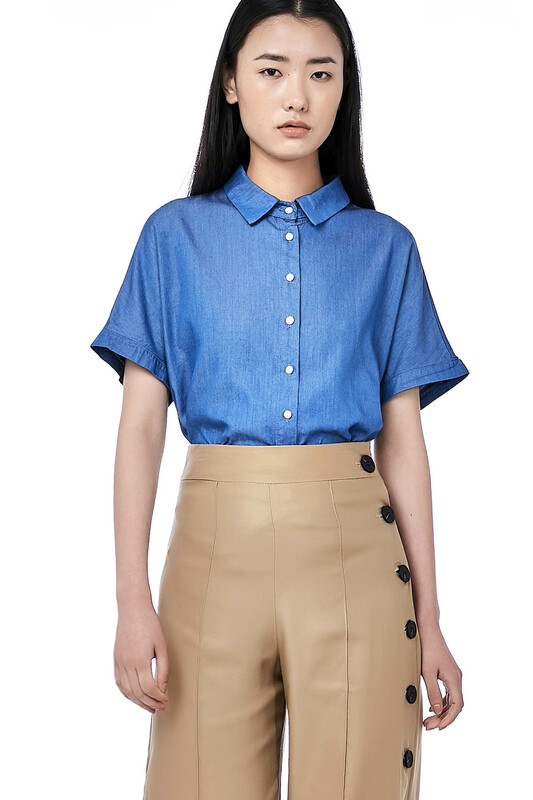 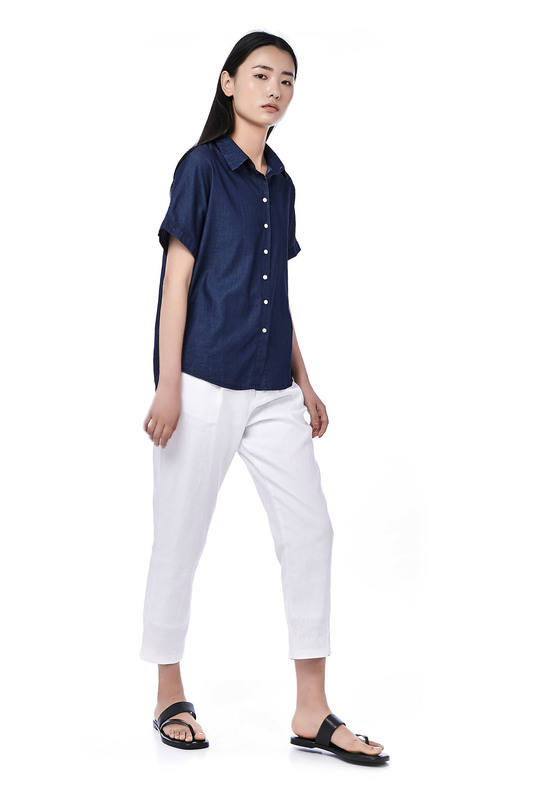 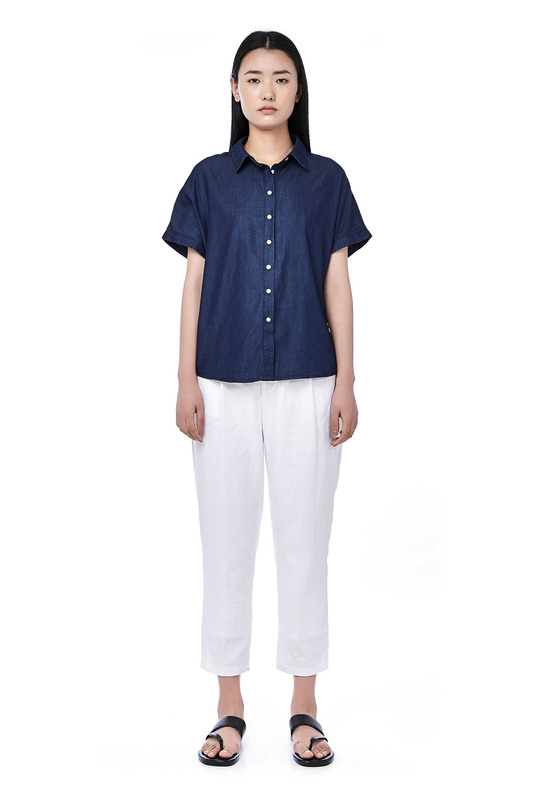 It has a regular collar with button closure on the front, made in an oversized boxy fit. 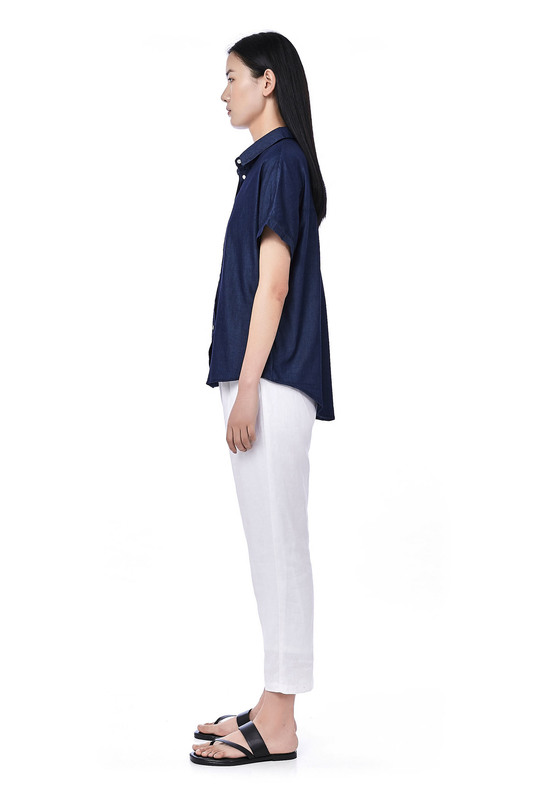 LENGTH 24"/27.5" 25.5"/28.5" 25.5"/29" 26"/29.5"